Our new site is now online!! It is named Family Travel Escapades with the address http://www.familytravelescapades.com. We will no longer be posting on this site. Our new site will still be mostly the same. Our primary focus is on all things Disney, but we will also expand to other travel topics. We are thankful for all of you who have followed us, and we hope that you will continue to follow our new site. Unfortunately, there was no way to automatically keep you subscribed. Our posts will no longer be on the WordPress Reader, but we will continue to receive your blog emails and will continue to check the Reader. We will also have Pinterest, Facebook, Twitter, and Instagram. We hope to hear from you soon! I have noticed that each time we return from Disney World we want to go back even sooner, think about it more, have more collectibles for our home, anticipate our next trip more, talk about it more, etc. Is this the sign of an addiction? This sounds like a joke but I think we as a family (my son and I with the worst addiction) are truly addicted to the whole Disney World “magic”. We started ramping up our Disney visits in 2012. We went from the magical Christmas visit of 2011 when we returned for Christmas of 2012 to then going for the Flower & Garden Festival that same year. We did that for a couple of years and then last year went to the Food & Wine Festival in 2014. We still went over Christmas in 2014 and shortly thereafter went to Disneyland for the first time. We were so in love with Disneyland we are planning a return trip this summer. We are even fantasizing about someday going to Disneyland Paris and Disneyland Tokyo. I am afraid that will take some time but it is fun to look at the layouts for the parks and the hotels, etc. 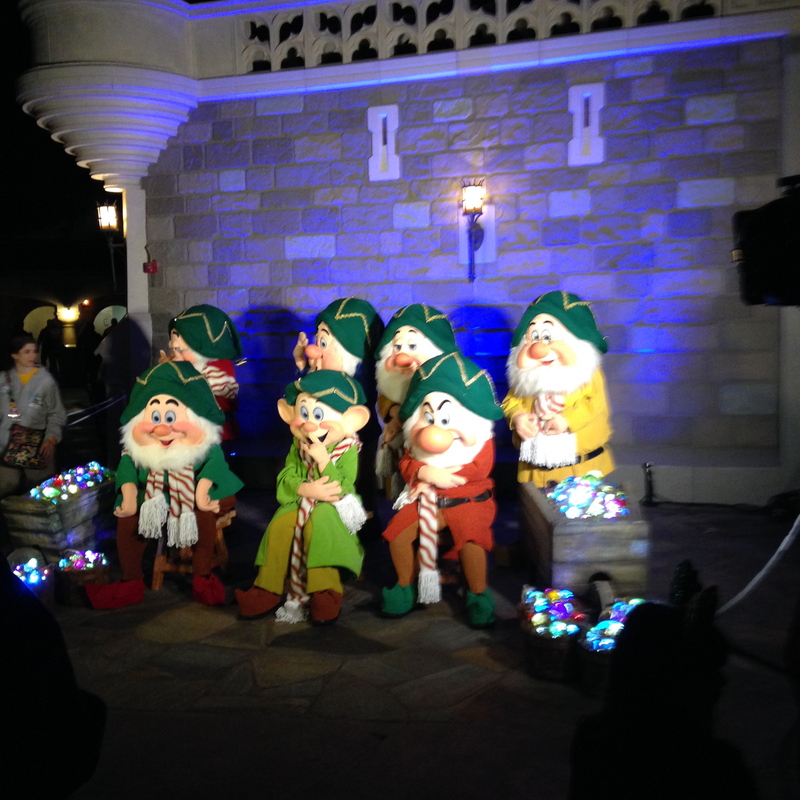 It is really a treat to see all seven of the dwarfs, or any; however at special events such as Mickey’s Very Merry Christmas Party you can catch a rare picture with them. when is it excessive? Four visits per year? Five? For now, we are enjoying every minute of our visits, our memories of our last visits, and our planning of our next visit. Why spoil things with too much analysis, right? The magic of Disney captivated me from the time I can remember through their movies and the Wonderful World of Disney on Sunday nights. I visited Walt Disney World when I was 17 with my family when there was no Epcot and no fastpasses. We stood for an hour in the hot Orlando sun in August to ride one ride. I remember with fondness an Eastern Airlines ride that simulated flight, a submarine ride and a few others that are no longer there as well as some that are. We all came away glad for the experience, even with the sweltering heat and the crowds. I went again in 1982 when Epcot was new. We all loved the entire experience, even though a lot of the attractions that are there now were not operational then; but, the countries and the whole concept were mesmerizing. I returned a few times between then and 2009 becoming increasingly taken by the magic during each trip. It was during the 2009 trip that we first stayed at the Beach Club Hotel. 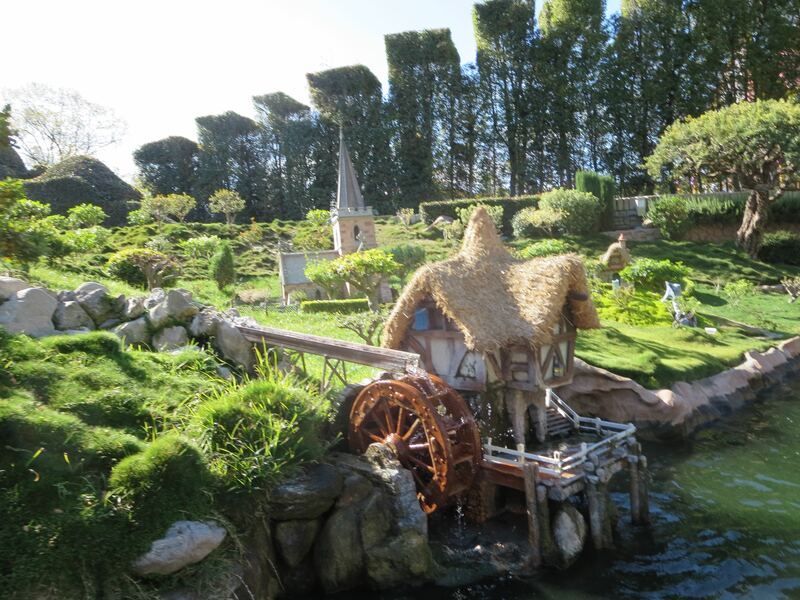 I was taken in with the beauty of the hotel, the charm of the cast members, and certainly the proximity to the parks. To be able to just walk into Epcot in a few minutes made all the difference in my enjoyment of the park. We rode the Friendship boats to Hollywood Studios and enjoyed them almost as much as the park. We returned again in 2011 during the Christmas season. This trip marks the true start of my utter fascination, addiction, fanaticism (supply similar adjective). This trip could not have been any better for a variety of reasons. We stayed at the Beach Club again and, to my great surprise and enjoyment, we were upgraded to the concierge floor. They supplied us with food and drink and turndown service. The thing that “made” the trip however was all of the Christmas ambience from the smells and music at the Beach Club to all of the beautiful decorations both inside and outside. Since then, we have dove in head first, returning several times per year, taking a Disney cruise, and going to Aulani. I look forward to sharing insight that I have gained including seasonal variation, theme park tips, money-saving tips, hotel tips, DVC tips, and more. Coming tomorrow: Our feelings on the removal of the Sorcerer’s Hat at Disney’s Hollywood Studios.